I went to Hobby Lobby yesterday-FUN! I bought a new set of banners and matching stamps from Sizzix. And it's always fun to get to use them right away! That's a nice breakfast nook! So I was inspired by that accent wall that I interpreted to be mint green. And on that same wall is a display of spoons. 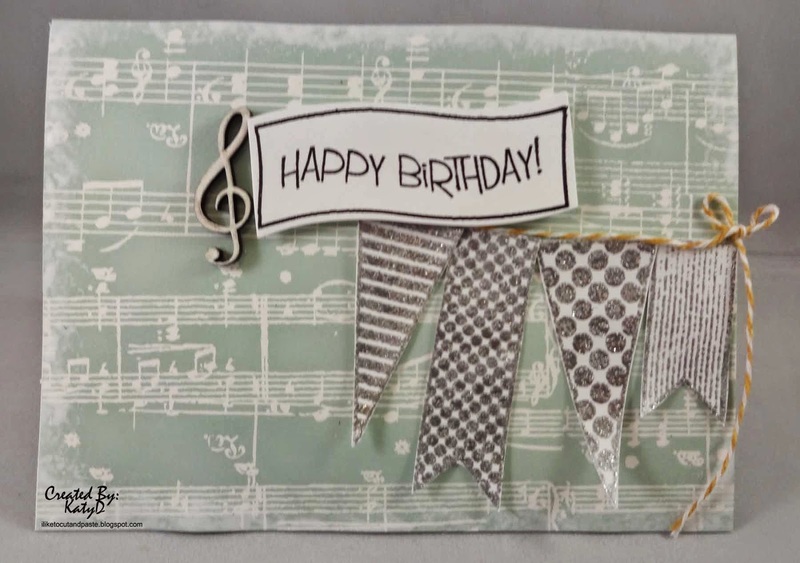 That is why I incorporated the silver banners (my cool new sizzix banners and stamps). And I used yellow twine because the pillows and seat cushions have yellow in them. 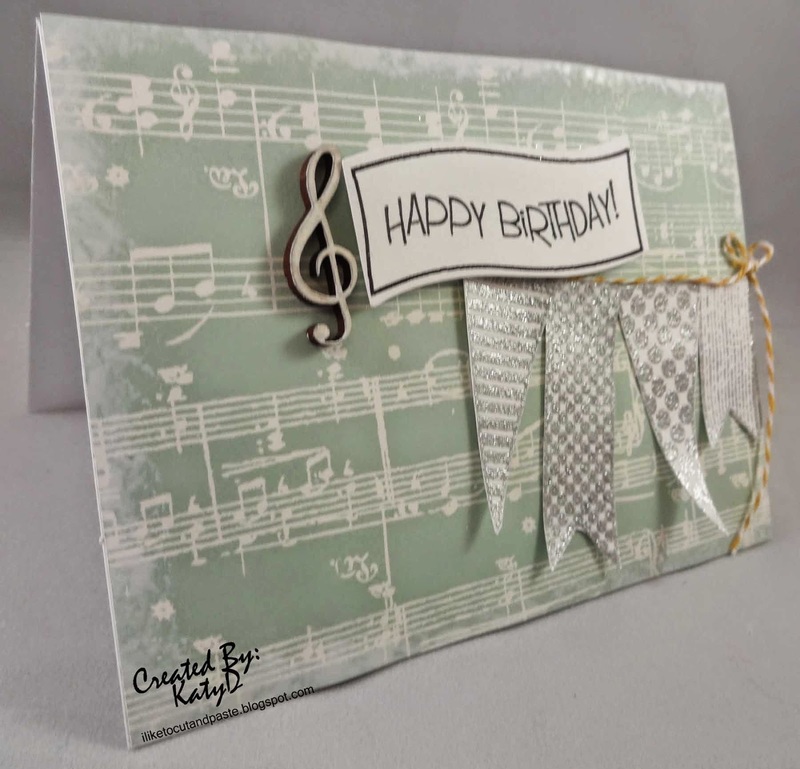 I am also entering this card in the challenge at Unique Laser Designs-Use Unique Laser Designs products. I used the treble clef and painted it white. This is such a pretty card! Love the background and the banners! Great colors and layout! Thank you so much for joining us at the Simon Says Wednesday Challenge Blog! Gorgeous! LOVING the banner and the music paper!!!!! Such a beautiful card! Love these banners on musical background! Thanks for playing with us at House of Cards. Thanks for joining the Unique Laser Designs April Challenge (ULD products used).